Hartland Kids Day is coming soon! We are gearing up for the 2019 Hartland Kids Day! Hartland Kids Day is the biggest family centered event in Hartland. This event was created by Lake Country Family Fun and made possible in conjunction with amazing community support! Check out these amazing sponsors and local businesses who help make the day possible! Come join in the fun with bounce houses, the rock wall, fun activities, food (Kona Ice! Endter’s Sports Grill! Flying Cow Pizza! ), demonstrations and tons more. While you are there, enjoy the Lake Country Rotary Splash Pad too! 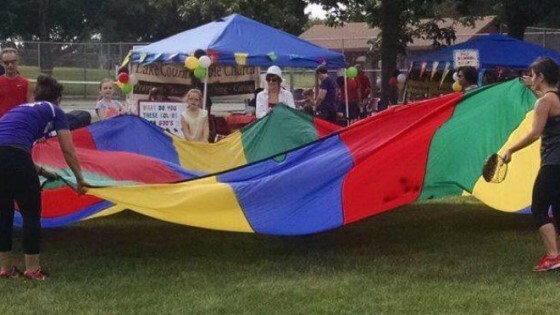 This years Hartland Kids Day will be on Wednesday, July 31st, 2019 from 9:00 am until 2:00 pm in Nixon Park in Hartland, Wisconsin. Last year Lake Country Family Fun filled Nixon Park with FUN, FREE activities for your whole family! Meet Dentists, Doctors, Police, Fireman, and Local Businesses. We are so excited to be doing it again! In 2017 and 2018, we were blessed to have Anna Huf, Mrs. Lake Country, at Hartland Kids Day. Anna Huf represented the lake country area at the Mrs. Royalty International pageant. She is the current Mrs. Royalty International! We are also again doing a school supply drive for the BackPack Coalition of Waukesha County. Please bring your donation of school supplies with you to the event to drop off at the BackPack Coalition booth. Anna will be helping us collect all those donations for the BackPack Coalition school supply drive. Attendees can park along designated residential roads around the park. Please note that parking is only available along one side of the road on East Park Avenue and Park Court. There are public parking lots available at the Hartland Public Library. Please follow all police-enforced “no parking” signs. If you are planning on attending, please RSVP here on Facebook. If you lose anything at the park, please come to the Lake Country Family Fun tent, which will be to the right of the Main Stage when looking at the stage. 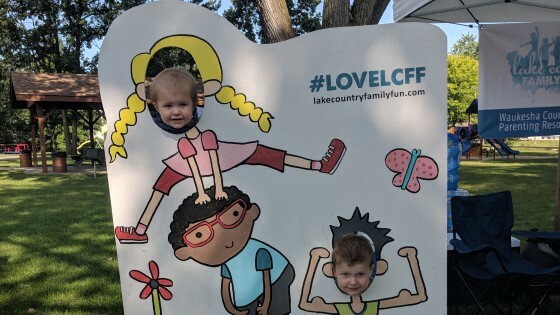 Also, if you find anything at the park that is not yours, please take it to the Lake Country Family Fun tent to be found by its owner. If your business would like to participate, please contact HartlandKidsDay@gmail.com. Please make the subject as HKD Sponsorship Request 2019. The contract and forms will not be available on the site for 2019. They will be available via email. Allowance into event is dependent on availability. This is NOT a vendor event, there is no selling other than from our food vendors. Space is limited; your space will be reserved with sponsorship paid and signed contract. There are a limited number of like businesses allowed at the event. Please email HartlandKidsDay@gmail.com to confirm availability. We had a wonderful time at kids day again this year! I think this was our fourth or fifth year to come to Kids Day. My grandson looks forward to it every time. I’m hoping that you will have many more food vendors next year including maybe some chocolate or sweets in that area. It was a great time and we were delightfully worn out by the end of the day. Thank you so much for having this event. Hi CJ! We are so happy that you you had a wonderful time at Hartland Kids Day! We will be looking into more food vendors for next year! Thank you for the kind words. Be sure to stop at the LCFF tent next year and say hi!